H&R Block just gave us 15% off coupon to that’s good for any of their Home software programs including Basic, Deluxe, and Premium. Best of all, you don’t need to copy any codes, mail-in any inconvenient rebate forms, of jump through hoops like at the circus because this offer is automatically applied to your order when you follow the above coupon link. Once at HRblock.com, you’ll see lower price reflected in your shopping cart. This offer is valid for all new and returning customers but is not valid for any in-store purchases or on consulting services. Save up to 25% at Amazon. When it comes to getting the best deal on software, few stores come close to the deep discounts that are at Amazon. 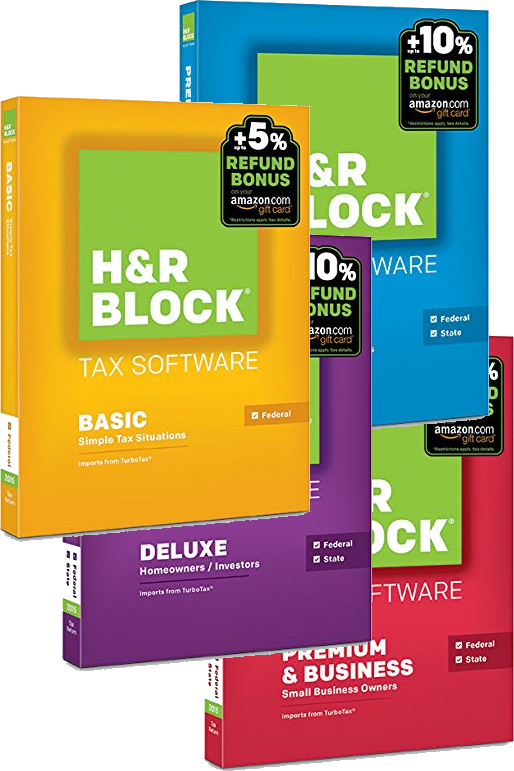 As an official reseller of H&R Block at Home software, you’ll find most versions on sale from 20% to 25% off the list price. You can also choose to download your order after checkout so within minutes you are ready to start completing your tax return (just be sure to select the digital version). The traditional boxed copies are also sold and most versions will qualify for free super-saver shipping. When shopping at Amazon, keep in mind that they don’t offer any additional coupon codes or discounts from the listed price and that their sale prices may fluctuate daily. 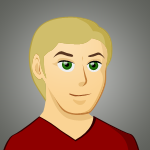 Sale prices will vary among versions. H&R Block has following in TurboTax’s footsteps and is now offering their customers up to 10% extra back if you elect to receive part or all of your Federal tax refund on gift card. So lets say you have $1,500 coming back to you, if you choose to receive this amount on a Amazon, Best Buy, Nordstrom Rack, Macy’s or one of the many other offered gift cards, then H&R Block will tack on an extra $150.00 on top of that amount just for doing so. Not a bad deal, huh? Follow the above link to learn more about how this promotion works and take advantage of this deal. This offer is scheduled to end on April 15th, 2016. With price match at Staples. Thanks to many big-box stores for implementing attractive price-match policies, the best deals are no longer only reserved for those that shop online. Stores like Target, Best Buy, and Staples have written low-price guarantees which often will let you price match to their fiercest online competitors. Simply take one of the deals mentioned on this page and show your local store associate (they must carry the identical item). They should be able to price match it for you on the spot. Just note that not all price matches will be honored as the policy and terms will vary from store to store. Like most software companies, you can try our H&R Block’s tax software for free before you buy it. Just head on over to hrblock.com and select the version that best finds your financial situation. Then create a new account (or login to your existing account if you have one) and you can begin preparing your entire tax return. It just won’t let you print or file it unless you purchase the software. If you decide it’s not the right program for your needs or you see that it might make more sense for a tax advisor to prepare your return then simply cancel it. There’s no risk to trying it out. Compare these deals to those now available from TurboTax. We are monitoring the latest offers from Intuit and can help you save up to 35% on your order. Just know that even though the percentage discounts may be larger, their retail prices tend to be much higher so be sure to compare the final costs between the two tax software providers. If you decide to switch from one program to another, both programs let you automatically upload last year’s data so no need to re-input old financial information. Is there an H&R Block Returning Customer Discount? When it comes to the tax software from H&R Block, there are no different discounts for existing clients and new clients as everyone can take advantage of the same offers. If you are planning on going to one of your local H&R Block stores to have your taxes done for you this year, we’ve heard that returning clients with the same documents are receiving 'no increase' in prices from last year, although we have yet to confirm this. You can also take to the store associates and see it they are able to provide an extra discount for you at the time of ordering.